Please click below to see the other travel cards available. 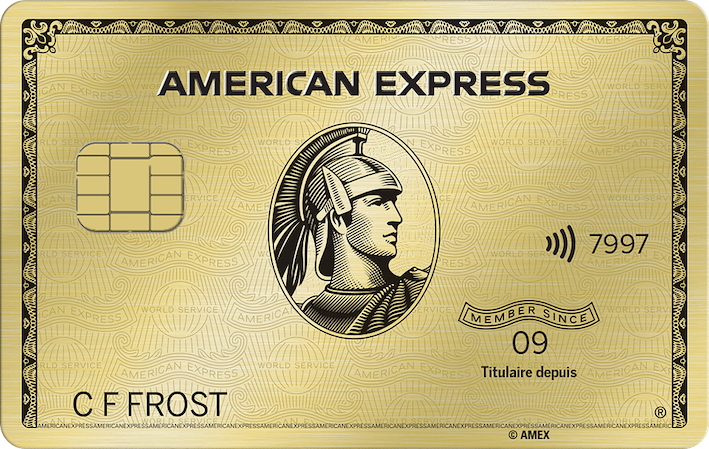 The average dollar value of an individual AMEX Membership Reward point is $0.01. To see how we calculated this, click here. Click here for more information about this card's travel and purchase insurance. New American Express® Gold Rewards* Charge Card Cardmembers can earn a Welcome Bonus of 25,000 Membership Rewards® points just by making $1,500 in purchases in the first three months of Cardmembership. That’s enough to redeem for a round-trip Fixed Mileage Flight Reward TM* to almost anywhere in North America. Earn 2 points for every $1 on eligible travel and everyday purchases. Earn one point for every $1 in Card purchases everywhere else. Charge any eligible purchase to your Card then log in to redeem your points for a statement credit. As a Charge Card, the balance must always be paid in full each month. 30% annual interest rate applies to balances not paid in full. Payments must be received and processed by the date of the next monthly statement to avoid interest charges. *American Express is not responsible for maintaining or monitoring the accuracy of information on this website. For full details and current product information click the Apply now link. Conditions apply.